Which is why I was chuffed when Iolo reached out to me and asked me if I would like to try their product. This article is sponsored and product gifted by Iolo they provided me with the System Mechanic to try, but the opinions are 100% my own! What Is A PC Cleaner And Why Do You Need One? A PC cleaner should do what it says and clean your computer on the inside. It’s about getting rid of the items that you don’t want or need and making sure the system is working at it’s optimum capacity. You might ask ‘what is the best optimization software’, this isn’t easy to answer but I will try. There are several PC cleaners on the market, it’s really about finding the right one for you. There is always a personal choice involved when it comes to the right software for you and your budget. The simple way to explain what a PC Cleaner does is to check the current status of your computer and look at the best ways to optimize your system to ensure the best possible results, from speed to decluttering, all of this is something you no longer need to think about, you can get your programme to do all the hard work for you. I was gifted the System Mechanic Software from Iolo to try and to see if it was as good as what I had heard. I’ve got to say I’ve been super impressed! The software was easy to install, and you input your licence key information once you have downloaded the software. It was basically just following the steps and improving my system. It is really easy to navigate and to check for any issues and to fix those without much input from myself in the technical department. I wanted to see what it could offer in regards to an older PC and a newer PC. My husband’s PC is old, it’s at least 3 years old and even though he keeps it quite clean internally I wanted to see if this software made any sort of difference. The software was easy to install and we followed the system suggestions for optimization and we were both pleasantly surprised. His PC is quicker to load and to turn off and it just seems better, which is good as it means this system will last a bit longer. My PC is a lot newer, only a couple of months old and I’m not the best at keeping the insides clean, so it was interesting to see if I had managed to fill up my computer with rubbish. There wasn’t much on their which I was grateful for, but what is good is that I can set the system to check every few days to make sure that I’m not storing stuff that I don’t need. This doesn’t replace your security software; this is a way to clean your PC from the inside, therefore, it’s in addition to your security software. I do recommend this software; it has worked well on both computers that I’ve tested it on and I’m happy to stand behind my decision. I know that I haven’t tested other programs but if something works why look elsewhere? For me what makes a great PC software cleaner is one that works and does the job it’s intended for. But if you are thinking about PC cleaners and you want to check out the market there are some things that I would consider important to consider. How Do I Declutter My Computer? 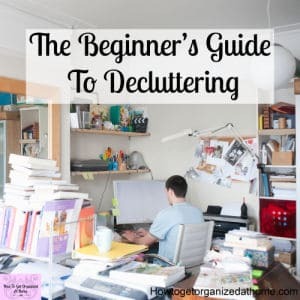 Whilst we are on the subject of computers, I thought it would be a great time to talk about getting our computers organized and clutter free. Your computer isn’t there to store all the items you might need; it is the tool that you use to enable you to get access to these items. This means that you need to think about your storage separate from your computer. It might seem odd to think of your computer this way but the more that you do the less you will store on it and the faster the system will run. So, this means you need to think about storage and how you want to store your files, I use a ‘cloud’ system and that means it’s stored externally on the internet and it gives me greater freedom as I can work on articles and other items from multiple devices and this is important! I’m not restricted to one computer; I can access files from all devices that I own, and this makes it easier to move and not feel restricted to just one spot or one device. If something happens to my computer, I haven’t lost all my work as it’s not stored on the actual computer. The computer is just the vessel that I access the item through. You might now start to think well how do I declutter my computer? It is going to be a process, but one that is going to be so worth it long term. 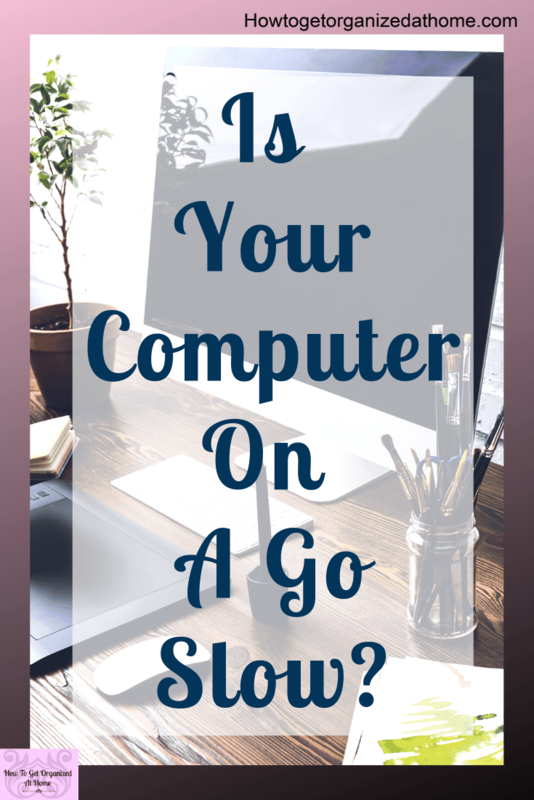 Your desktop is not a storage space, you should have only the minimum of items on your desktop, the more you have there not only is it a distraction but also it’s going to take longer for your computer to load up each time you turn it on. Less is more in this case; the fewer items to load the quicker your computer will start. You need to have a filing system on your computer, this enables you to access the items you need with very little fuss or searching through hundreds of files. Have a system where you can create files for items that you use all the time, if there are more than 20 items in the file it might be time to break that file down into a more manageable file. Be consistent with how you label your files, this makes it easier for you to find what you are looking for. The top-level file is called home: this is broken down with different files inside like car insurance, with this broken down by year making it easy to find exactly what you are looking for. In the home file you will have other files that allow you to find exactly what you are looking for easily. So, you might have a number of files under home but inside this they are broken down into an easy to use filing system that allows you to retrieve the information quickly and easily. I’ve included the decoration file because it’s a good idea to keep information that you want to do or have done so that it’s easily accessible. This can then be broken down into different rooms and contractors. When it comes to your computer keeping it clutter free is something you will have to work at every time you turn on your computer. The best thing that you can do for your computer is to look after it. The technology will soon be out of date but getting the most out of a system is important and keeping it decluttered and organized will help you make the most of it whilst it lasts. Making your computer work for you and not against you is important. Often technology can seem like it’s out there to defeat us and to break us, but it doesn’t have to be this way. The simple way to prevent your computer from dying before its time is to look after it. You need to take the time to keep the insides of it clean and clutter free. 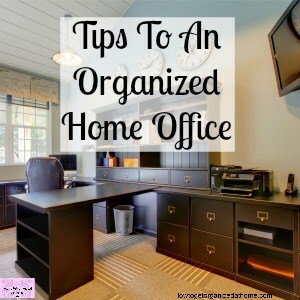 You need to think about how you organize your files and make sure they are easy to access. If you store your data on your computer, make sure that you are only keeping the bare minimum on there so if anything does happen to your computer you don’t end up losing everything that you need. 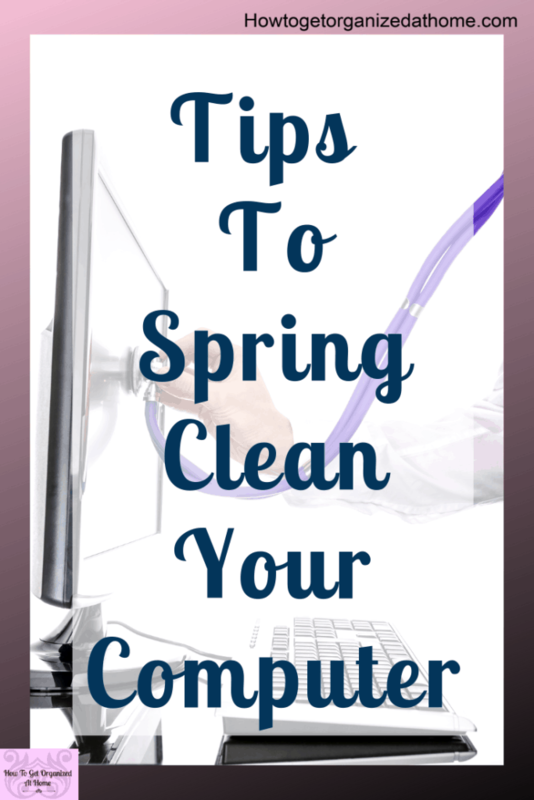 When it comes to your computer you need to keep it clean for it to work at its best capabilities. How you do this is through a series of processes. You can do the work yourself or you can get a software program to do this for you. I’ve been trying Iolo System Mechanic Software which was gifted to me and it’s simple and easy to use and what’s great is it works. I don’t have to think about it, after the initial set up it automatically checks on my computer and keeps it clean. This isn’t a replacement for your anti-virus this is as well as. 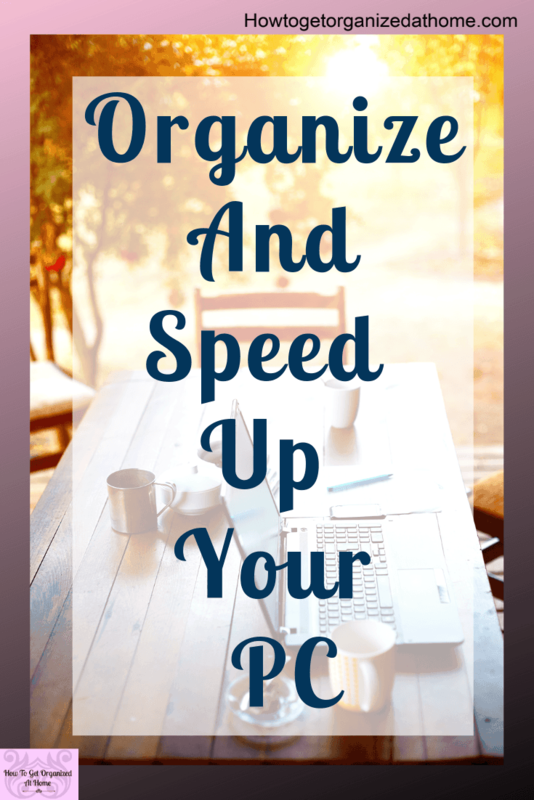 Make sure that you are not using your desktop as a dumping ground, create a proper filing system so you can find the things you need and when you need them. Think about your storage and where you store things, you don’t want to have everything on your computer because if it breaks you might lose all your files, it’s a good idea to look at a virtual storage option so you can access it on any device.